Eeeeek! I'm totally stoked about this weekends giveaway. Did you see the title? We have the lovely blogger/photographer, Diana, giving away ANY piece in her shop to one LUCKY D&OC reader! 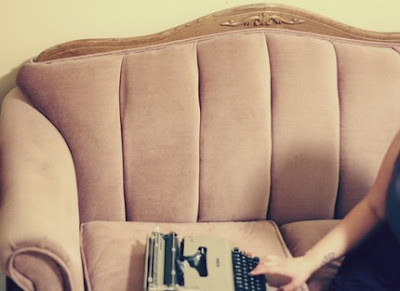 I bet that most of you are already familiar with Diana's blog, Our City Lights. She was featured on D&OC as my very first Humpday Spotlight (I have a fabulous spotlight coming up next Wed in case you were wondering where the series went). Diana's photography is a bit whimsical, very well executed, and you feel like you're reading a story when you look at one of her pieces. I DON'T know how you're going to choose a favorite. 1. Visit City Lights Photography and tell me which piece you would choose if you won. 2. If you're a follower/reader/member/friend of D&OC, leave me a comments saying "I'm a reader!" If you're not a follower, sign up on that silly widget over there. It's easy peesy. Make sure to leave a SEPARATE comment! 3. Blog, Tweet, or Facebook about this giveaway and tell me you w/a link. Winner will be chosen next Tuesday night, 10/20/09. Besides being incredibly talented and intelligent, Diana is a very kind person. You should get to know her. Here are her links. Good luck! I hope you all have a lovely weekend. B and I are going to have a little (documented for your pleasure) cooking extravaganza on Sunday and our month of sobriety (yes sobriety) starts today (don't judge)! I'll be adding lots of FUN pieces this weekend, so be sure to check out the shoppity shop. Yay, so excited about this giveaway! Diana has such an eye for capturing the most interesting scenes, it was tough to choose a favorite. I suppose I would choose "Emma's" if I won, because the moment that I saw the photo, I wanted more than ever to take a drive on Route 66 because now I simply must find out what all of the "Brian Burger" hype is about. 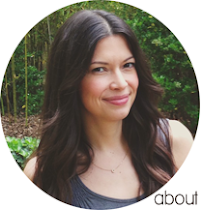 Love Diana's blog too, and her tweets are always interesting and thought provoking. 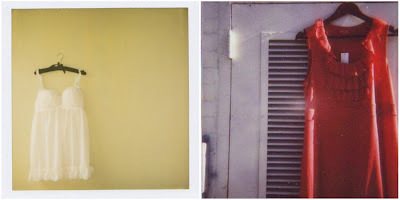 Got to love a girl who loves her Polaroid! I love Diana, her blog and her photography, great giveaway!! I would choose Kick Your Shoes Off. Such a great giveaway! 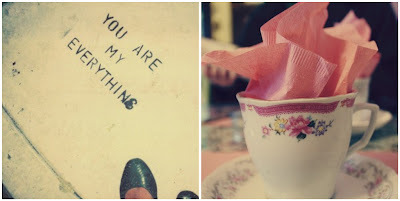 Love the "you are my everything" photo. Simply gorgeous! I love her site, how can you not be inspired and uplifted glancing at the little moments of life, that I'm sure are taken for granted way too often, that she so effortlessly seems to capture. Picking a fave is impossible, but narrowed it down. because I am a hopeless and irrevocable hopeless romantic, I adore "You Are My Everything" and "Lingerie." I also love the muted colors and reamarkable vintage feel that "Couch" exhibits. Brilliance! So exciting! I love her stuff! My favorites include: Emma's, A Writer's Desk, Tea, Scrabble Nerd. And I'm a follower. Thanks for the giveaway! I am in the process of decorating my daughters nursery and filling it with great art and photography. This giveaway is perfect. The Sleeping Beauty Castle Polaroid is exactly what I want! Thanks! Oh, and of course, I am a follower. Ooo! So many beautiful prints to choose from! I am going to have to wait to decide. If I win, then a choice will be made! I have loved the ferris wheel photo forever! I would take the You Spin me photo. Gorgeous work!! 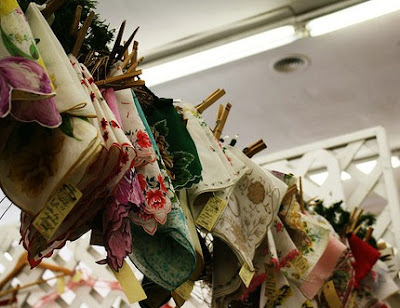 I absolutely LOVE LOVE LOVE the hankies! OOOh, all are just fantastic! I think I'd choose the Ring Ring print though...the colors are fun and I've always loved those kind of phones! I tweeted- not sure how to link it? Fabulous! I'm a reader! Her work is beautiful! My favorites are Red Sky, You Are My Everything and Viva Las Vegas! Oh, "Ring, Ring" for sure! Love it! You're right... how to pick just one favorite?? But I do adore the Scrabble Nerd pic... so very "me." Now I am crossing my fingers! Difficult to pick one really, there many I like... ok I will have to pick one and that is... Ferris Wheel! So sweet! I'm such a follower and a fan of both your blog and Diana's amazing City.Lights... Please do enter me! I'd probably pick 'Soaring' or 'Viva Las Vegas'. Such beautiful nostalgia in both. Have a great weekend dear Christina and very much not judging on the sobriety! My poor sis is trying to quit smoking and it looks like torture and I wish I has the willpower to become a vegetarian. They're all so great - I would have to make a game time decision between "you are my everything", "christmas library photo" and "kick off your shoes". Wonderful! I'm a reader! and I love Diana! O LOVE all of them. but I would love to have the "you are my everything" one. so cute! 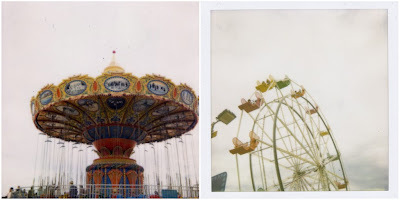 Love her photos...especially the amusement park rides. And I blogged about it at www.gigiandoliver.blogspot.com. i love her work!!! i have some of it, but i could always use more! the "fable" piece is speaking to me. oh, how i love her works! and her kitty is so adorable!!!!! ooh-red sky please!! And I'm a reader! Ferris Wheel is one fave. And I like Bridges of Santa Cruz, I love covered bridges. I am not going to enter because Miss Diana has done so much for me, but she is a genius behind the lens and whoever wins is very lucky! I love the Christmas Book Print! I'm a teacher and love to read, I think this would be so beautiful to hang in my house. Thank you for the congrats...Your blog is looking fancy as ever..i like the hanky photo. i have some fun jville thrifty finds that i have to show you soon...I miss athens today...hope you two are well..
Ring ring 8 X 10 print! Very talented is our Diana!! Diana is one talented & smart cookie! TGIF Christina! One day I should also do one of my 'artworks' for your fab 'giveaway' post! Oh boy, this is so darn hard! If I would win not only would I jump up and down with a big, fat smile on my face but I would also pick Ferris Wheel....or maybe Bridges..okay, or maybe You are my everything. See, this is hard! What a lovely giveaway. The polaroid carnival set is so much fun! Oh! How very kind of Diana and you, of course! I would like the coral print. I love how the red pops out-very attractive. And I'm a follower of this wonderful blog. I'm a follower of you and Diana! I love the Ferris Wheel print. It looks like something out of a dream! the ferris wheel print is amazing! i also love the text cards and would love those as prints as well! I'm pretty sure I'm in love with the Vintage telephone and Waiting by the Phone cards. Cute! If I won, I would choose "You are my Everything". I love the you are my everything! Such a great photo! I would choose the Lingerie print. So pretty! I LOVE HER PHOTOS! I had a hard time choosing! I think I like hankies best! But it is a close call with Ferris Wheel!! Thanks for the awesome contest! I'm a big fan of Diana and her work! My favourite is "you spin me"
I would choose ring ring or you are my everything, i love them both, for different reasons! i absolutely love the print of the books with the christmas lights on top of them! ooh, christmas library, emma jean's burger or the sleeping beauty? how to choose? Thanks for the chance to win such a beautiful prize! Every wall needs pretty visual on it. I like the Christmas library print. Not sure if this is still open, but I would choose "you are my everything"! And I now follow you!